Tamales…Deliciousness in a Corn Husk! 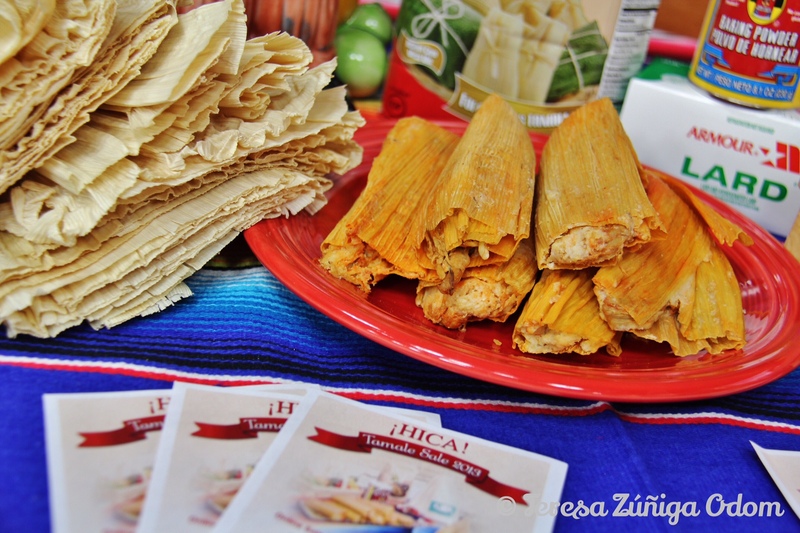 HICA’s tamale sale is back this year after a little “siesta” last year. If you live in the Birmingham, Alabama area, you can pre-order right now until August 1st through the HICA website. After that, the next window to order will be November 22 through December 11 through the website. You can choose from three types of tamales: pork with red sauce, chicken with green sauce and (my favorite!) pepper & cheese tamales. The cost is $30 per dozen or $18 for 1/2 a dozen. (Remember…this is a fundraiser!) Tamale pick up will be at the HICA office on December 18th. Not having the tamale sale last year was a big decision for the board and fund development committee. 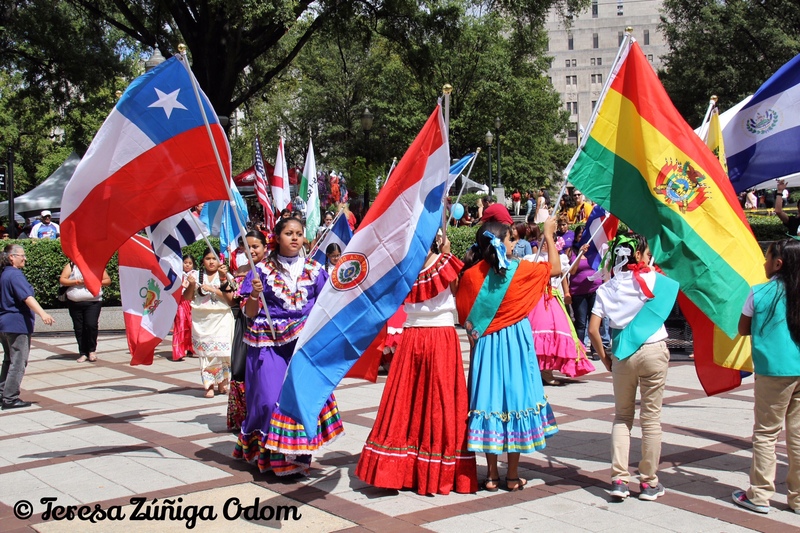 HICA had just purchased a building – a new home – in Homewood, AL, and there was so much happening to get the building settled and also pulling together our 15th anniversary event – or quinceañera – with the Birmingham Barons last June. We just didn’t see how we could pull it off successfully with so much going on so, after much discussion we decided to cancel the sale in October and notified our tamale supporters of this decision. We know people were disappointed but they understood and we promised to bring the sale back this year. Personally, I’m so glad it’s back because pulling this fundraiser together is a true labor of love for those of us who’ve been involved over the years and have seen it grow. 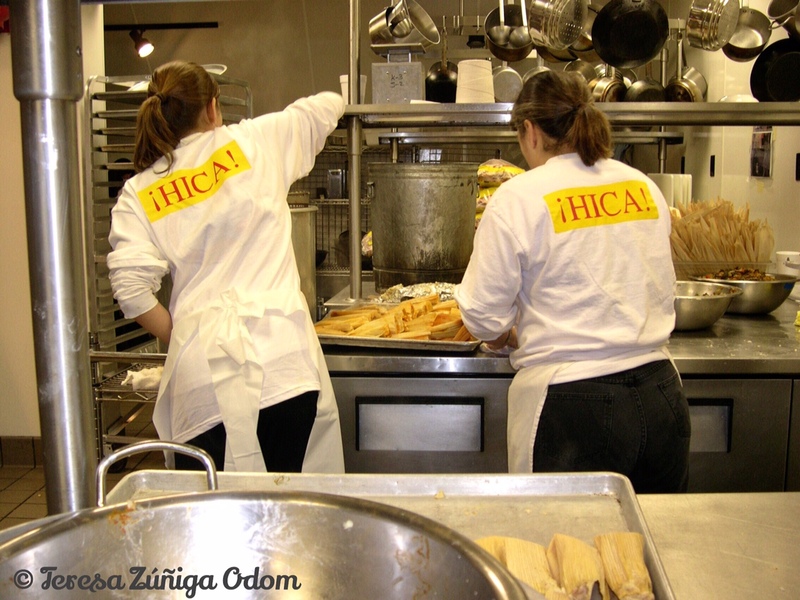 HICA Volunteers making tamales one year in partnership with the Culinard. 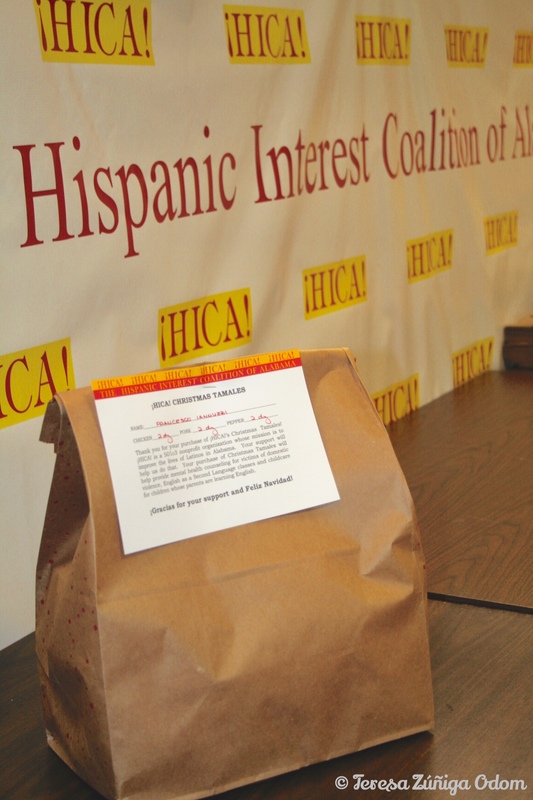 HICA started the tamale sale 13 years ago around the Christmas holiday time as a fundraiser for the organization. That very first year, supporters, board members and Hispanic community members got together in a volunteer’s kitchen and made hundreds of tamales into the wee hours of the morning to sell to the community at large. 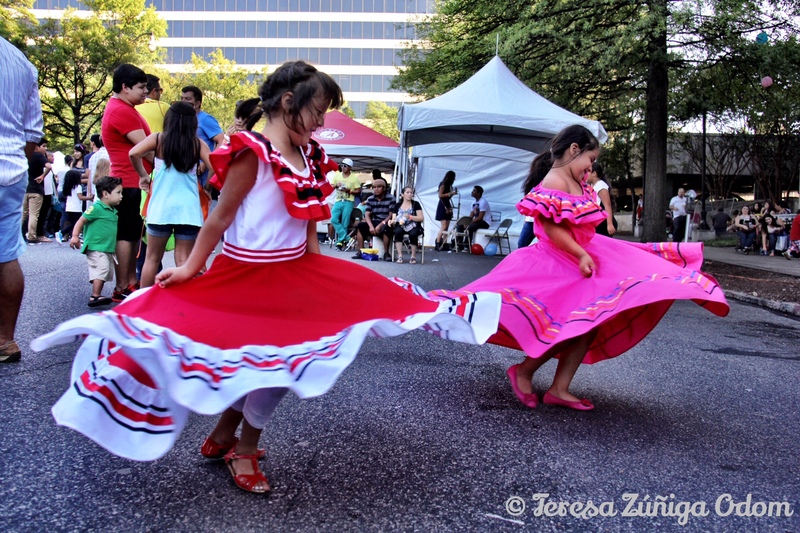 The idea was to bring a little bit of Mexican culture and food to Birmingham. In addition, tamales are a tradition around Christmas time to Mexican families. Many people who have been exposed to the HICA tamale sale over the years have embraced tamales as their own tradition now too! I have so many stories to tell about the tamale sale which I will do throughout this year leading up to the tamale pick up date on December 18. I’ll also share a few tamale recipes along the way. 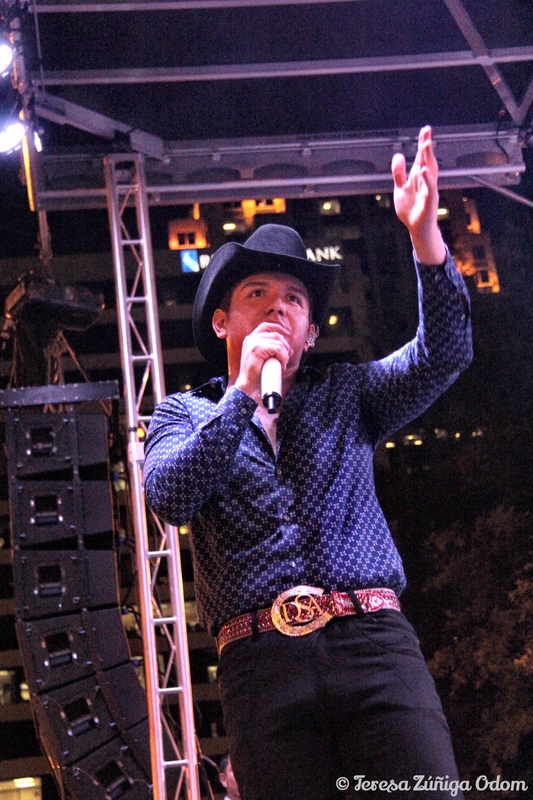 But for now, you have 8 days to pre-purchase your tamales! Go ahead…you know you want to! HICA has been grateful to the Piggy Wiggly in Homewood for many years for supplying grocery bags to contain the tamale orders. Tamales can be sweet with fillings such as cinnamon and raisin or fruit. There are around 1,000 types of tamales available all around Mexico. Every region has its own variety of tamales. In Mexico, tamales are often eaten during festivities, such as La Candelaria Day (Feb 2), Mexican Independence Day, Day of the Dead, Las Posadas and Christmas. 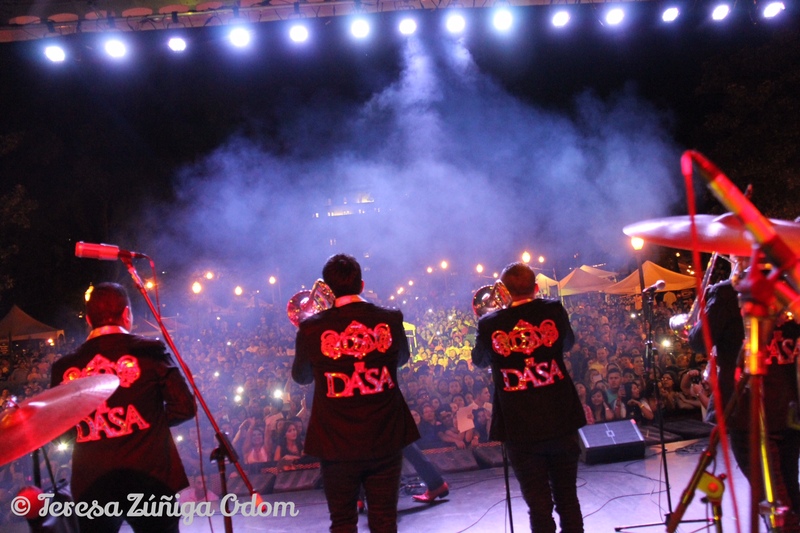 Tamales are not only part of Mexican culture, they are also part of Latin American culture. This entry was posted in Food, HICA, Holidays, Mexican, Tamales and tagged Birmingham Barons, Chicken tamales, Christmas, Day of the Dead, Fundraiser, HICA, Hispanic, La Candelaria Day, Las Posadas, Latino, Mexican Culture, Mexican Independence Day, Pepper and cheese tamales, Piggly Wiggly Homewood, Pork tamales, Tamale Recipe, Tamales, Zacahuil on July 24, 2015 by Southern Señora. Sparkling Sangria on the 4th of July! All the ingredients gathered in the Boondocks Gang kitchen and ready to go! Several times a year, my husband and I get together with a long-time group of friends. We call ourselves “The Boondocks Gang.” This name came about many years ago when we were having dinner at a little place in Guntersville called Boondocks. We thought we needed a name and that just seemed perfect for us. This year we decided to gather for the Fourth of July. 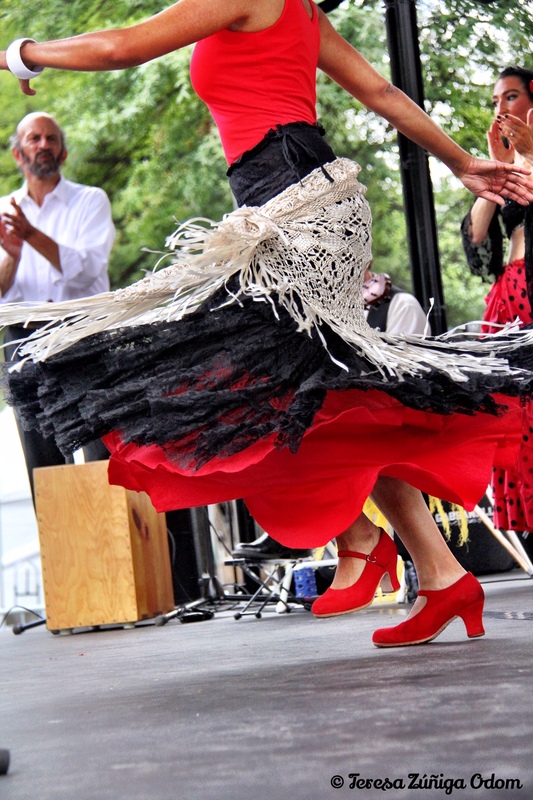 We always have a theme – of course, this year’s theme was a no-brainer! We had plenty of patriotic hats and red, white and blue USA beads. Sometimes we even have a signature cocktail thanks to my sweet friend Karen, who loves throwing things together and creating the perfect drink. I had tried a fabulous white wine sangria at Melt Restaurant in Avondale a few weeks ago and have been thinking about it ever since. So, I suggested we make a sparkling sangria for our signature drink this time. We (the girls) had just spent our usual first full day at the lake making our thrift store jaunt…funny how we’ve gotten into a certain routine with our trips! Always fun…we love looking for bargains and then coming back to the lake house and recalling our day over wine or other cocktails. 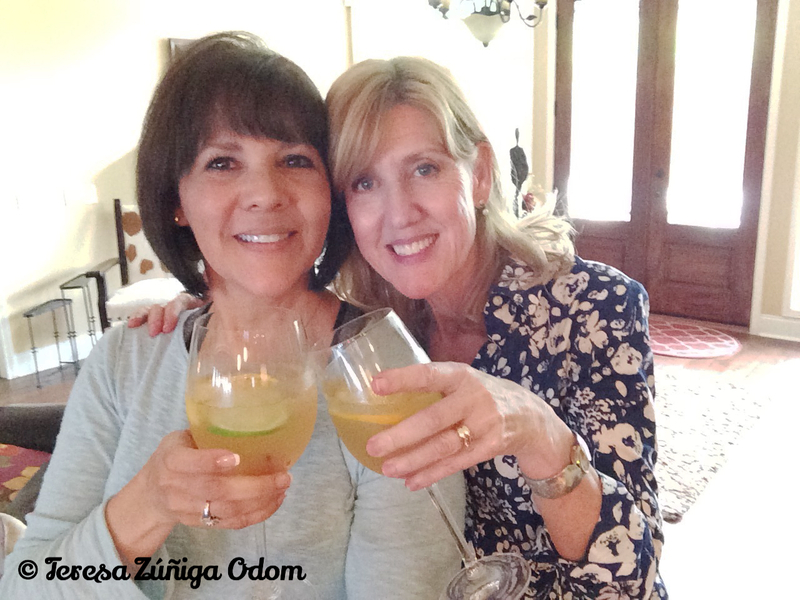 This time we couldn’t wait to get started and got right into sangria making! I almost couldn’t get everyone to slow down enough to take the preparation photos! A pretty shot of the oranges – waiting to be squeezed into the mixture. Karen remembered a recipe from Columbia Restaurant and quickly looked it up on her phone. Honestly, what did we ever do without Google and our smart phones? We started with a full bottle of Cupcake Prosecco. 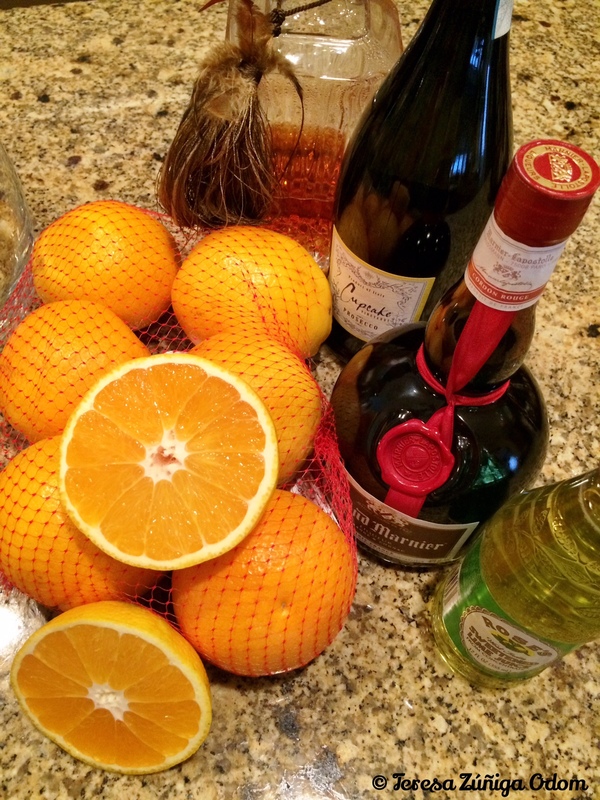 Next we added Brandy, Grand Marnier and Rose’s Lemon Juice. Freshly squeezed oranges and a can of Sprite (lemon-lime soda) followed. Oh, and Karen never measured a thing…she’s just that good! We cut up limes, more oranges and added a maraschino cherry to each glass. Finally, we added ice to the pitcher and began pouring. I have to say the glasses looked beautiful! 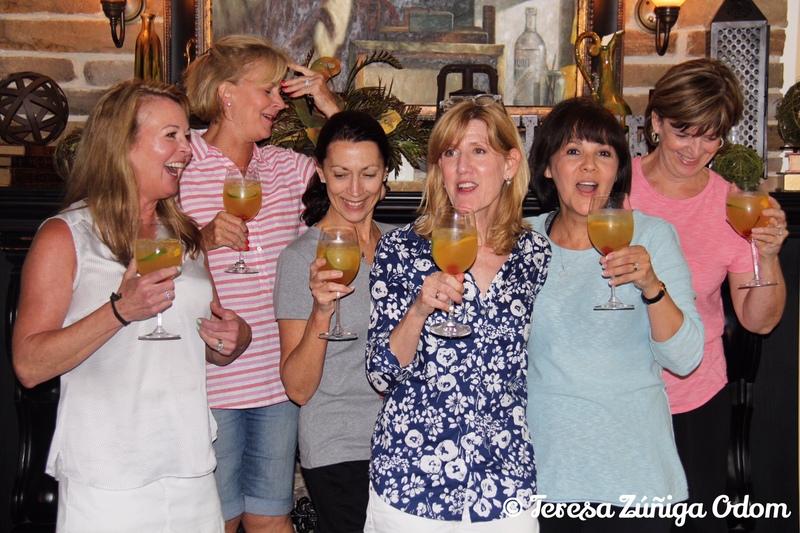 We all grabbed our glasses, gathered in front of the fireplace while my husband took several pictures of us posing with our sparkling 4th of July cocktails. 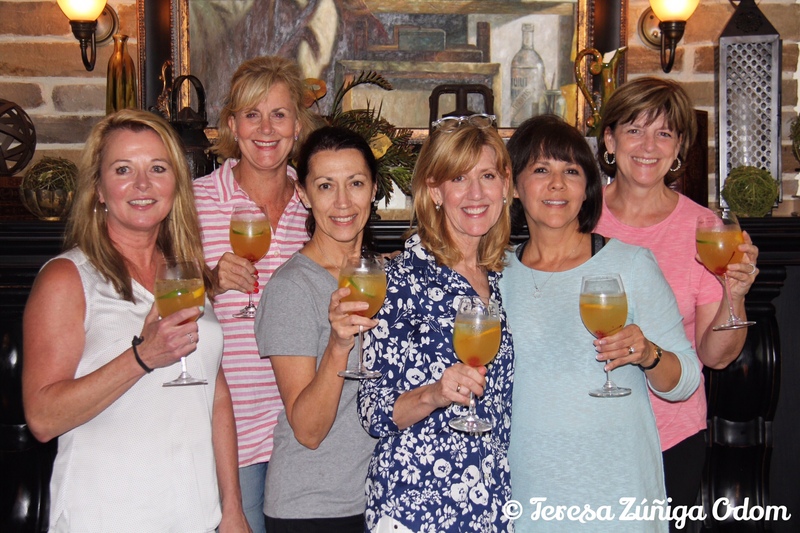 Cheers from the Boondocks Gang ladies! 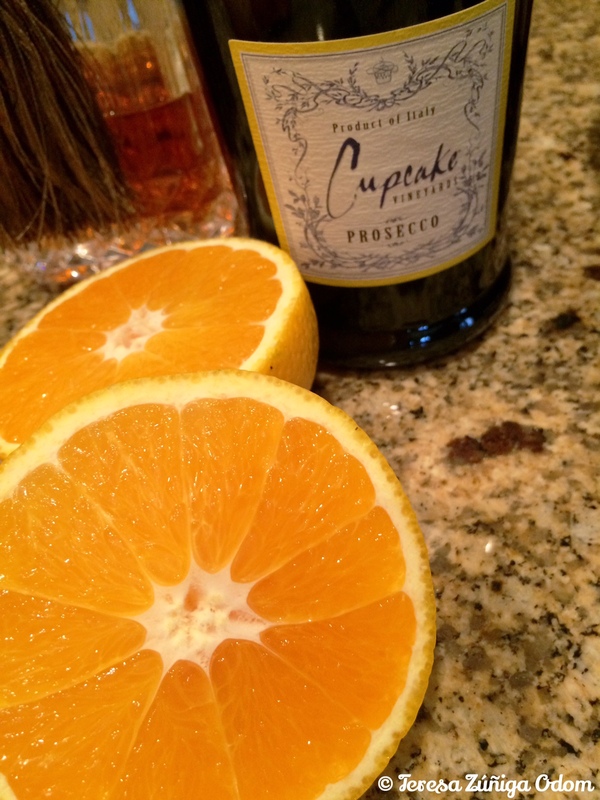 This entry was posted in Drinks, Holidays and tagged Boondocks Gang, Brandy, Fourth of July, Fruit, Girlfriends, Grand Marnier, Guntersville, History of Sangria, Melt Restaurant, Prosecco, Rose's Lime Juice, Sangria on July 8, 2015 by Southern Señora.